Things of note for the week ending Friday June 2nd, 2017. PUBLIC SERVICE ANNOUNCEMENT: if you SUBSCRIBE to the Five things on Friday email newsletter, you are 100% guaranteed to get MORE STUFF than reading it here on My Happy Place. You can do that by hitting the inconspicuous button that may or may not be below this sentence. I’m sorry, what was that? GREAT! I got you covered. 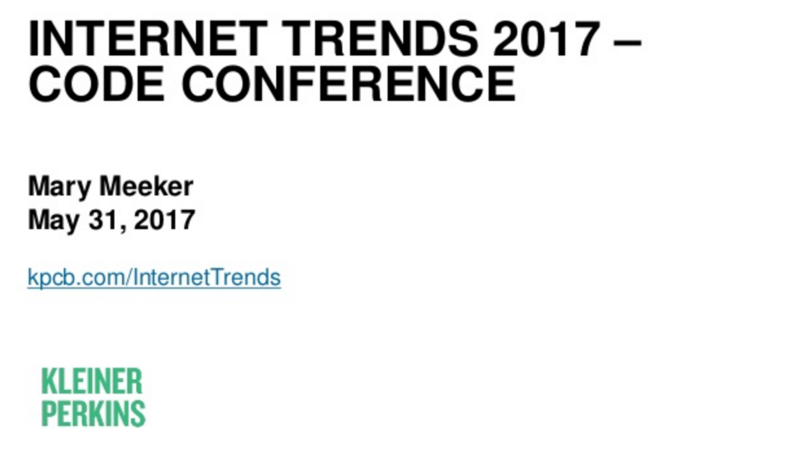 That’s right, Mary Meeker is back with her yearly motherlode of global stats and facts about all things Internet-ty. Recode had the exclusive, meaning it was first with the analysis too. Both are a worthwhile read. Pro tip: you’ll need coffee. Honestly. If you’ve been reading these for a while you know Warren Ellis comes up every now and then, if it’s not wanging on about one of his many writing projects then it’s something I’ve enjoyed from his casual thought dump, Morning Computer. This week I’m going to talk to you about his newsletter, Orbital Operations. In short: it’s great. Really interesting (if you’re into that kind of thing) and, if I’m honest, a decent source of interesting things to me – from this week’s edition alone. Warren Ellis is the lead writer for the new Castlevania series on Netflix. His behind the scenes chat about it is super interesting and of course, here’s a trailer he shared too. In the same edition, he talks about what it means to write a fight scene (for what I believe is a book) and compares this Transporter 2 fight scene to any one of those in John Wick. While the latter are good, JW never fought a man with a firehose. Where’s the realism? And this Deadpool blooper reel (that I had totally forgotten about). 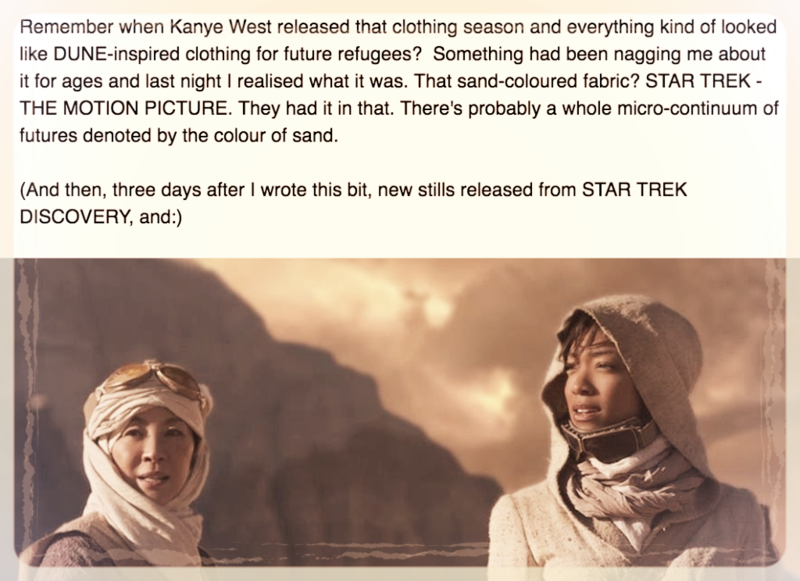 Who even writes things like ‘micro-continuum of futures denoted by the colour of sand’?! – who?! Trade publication CAMPAIGN recently ran an evening of talks around behavioural insights and adjusting brand approach to marketing through consumer understanding. While the write-up of the event isn’t as comprehensive as actually being there, it does highlight a number of smart ways that big recognisable brands are thinking differently about how they approach advertising and communications in 2017. Worth reading for further Google / Case Study Research alone. Read ‘Six Things We Learned at Campaign Underground‘, by Stephen Graves. Ps. On the tangential note of innovative thinking, ‘Where Good Ideas Come From’ is my favourite book on this topic and well worth a read if you’re yet to add it to your Kindle. Over the past 25 or so years, Walt Mossberg has been a leading voice in the technology and computing industry. Witness to the age of the PC, smartphone, tablet, and the dawn of voice computing, Mossberg has not only seen it all but had something to say on it too. 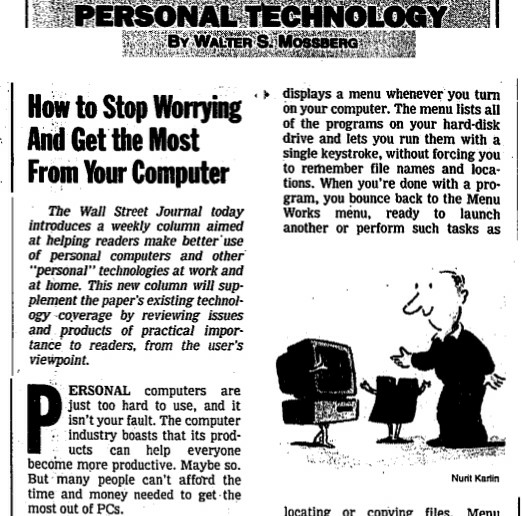 Mossberg’s final column, entitled ‘The Disappearing Computer‘ is a great read and, while bearing no real surprises, comes with the gravitas of a man who really has seen it all and has a bloody good idea of where it might all be headed next. Nice one, Walt. You were ace. This one is a little old (I read it too late to include in last week’s edition) but still 100% worth your time. Some of you may or may not know but Google (or Waymo, a the self-driving-car subsidiary of Alphabet, both of which used to be Google – details) launched a huge lawsuit against Uber after the former alleged an ex-Waymo-employee, one Anthony Levandowski (pictured about) misappropriated (read: ‘stole’) hundreds of gigs worth of data, before heading off to work for Uber. The same Uber that is also developing a self-driving car solution. Yeah, you can see how sticky that is going to get, right? 1. The latest news it that Uber has fired Levandowski for his involvement in the lawsuit and that really doesn’t look that good AT ALL. 2. The other thing to familiarise yourself with (and the original article that prompted me to add it to an edition of FToF), is this slightly-longer read by the Wall Street Journal entitled ‘How one engineer sparked a war’ – featuring, you guessed it, Anthony Levandowski. Honestly, some of the sheer crazy that has reportedly happened in the history of this case is phenomenal. And that crazy is covered by all parties involved, not just that of those accused. This is a really interesting read and an amazing insight into the world of how the San Francisco tech/valley set behave and think. Wow. CONTINUING THE TREND OF THE PAST FEW WEEKS, HERE ARE A TON OF RANDOM LINKS THAT MAY OR MAY NOT BE USEFUL TO YOUR LIFE. One joke, two tweets. Bang on observation, mind. 2013: Steven Soderbergh retires. 2017: Steven Soderbergh has a new film on the way. Previous FToF stars, ‘WHO TARGETS ME’ are doing amazing things. Read the latest. In London? Power Suit Social is back on June 7th. Looks good. Beautiful + Useful: How to be alone. Related: I went to the cinema on my own for the first time since 1995 last night (Mortal Kombat, if you’re asking) – and I can tell you WONDER WOMAN is a solid movie. Definitely worth seeing. Gal Godot is fantastic. Gamers, here’s the complete untold history of HALO. <- LONG. Godzilla v Kong is happening. Sidenote: Kong 2017 is highly underrated and eminently watchable. Seek it out. You are now at the end. Until then… you should consider SUBSCRIBING. Last updated by James Whatley at June 2, 2017 . Enter your details below to get the Five Things on Friday update delivered to your inbox, every week.